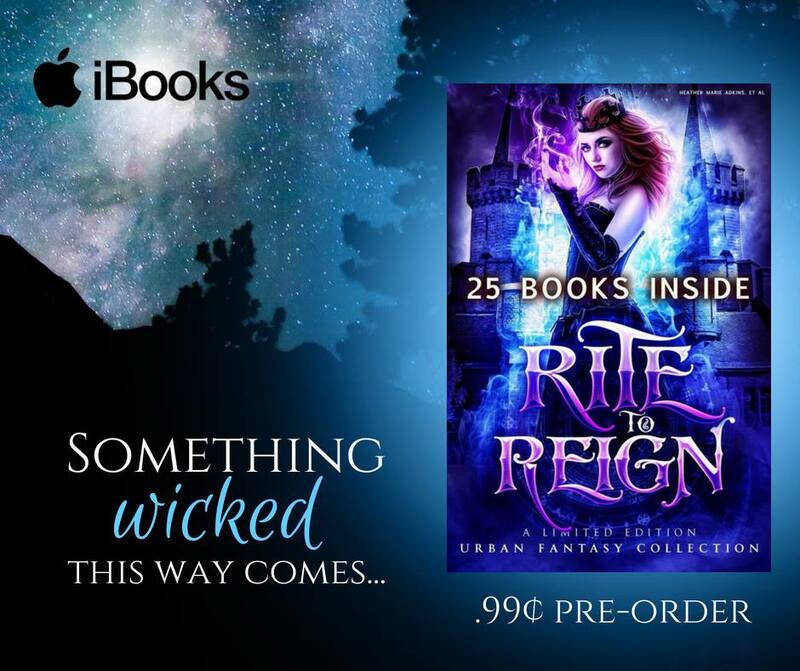 This bewitching boxed set contains more than 20 award-winning and bestselling authors stories of PARANORMAL ROMANCE and URBAN FANTASY, each brimming with stories of royal magic. With fall just around the corner, I am more than a little excited to announce my latest release. The Curse of the Blood Legacy, which will be available exclusively in the Rite to Reign boxed set releasing on December 11th. The Curse of the Blood Legacy is a side story in the Bruel Witch Series, following the story of a young Delphine as she rises to power of the Bruel Coven. Be sure to check back on my blog for a blurb and cover reveal sometime in October. You don’t have to wait until December to snag your copy! Preorder it now for just $0.99! Come join me and the rest of the Rite to Reign Authors in our Party Room. There are prizes given away daily.